“The Kiplings and India” is a digital thematic collection containing documents related to British India between 1870 and 1900. This site was initiated during Summer 2016, and remains underdevelopment as of spring 2017. We have decided to build the site in Scalar, and have the project hosted by Lehigh at scalar.lehigh.edu/kiplings. The project has been funded by an internal Lehigh University Faculty Research Grant, which allows me to work with two research assistants, James McAdams and Sarita Mizin. We are also working closely with Lehigh's library staff on the project now underway. To begin exploring the site, you can explore the Path visualization above (this might not be easy to navigate on mobile devices). Or, click on the Table of Contents menu on the upper left corner of the screen (the Table of Contents may be on the right if you are on a mobile device). We will also include in the archive materials published in newspapers for which the Kiplings wrote (especially the Allahabad-based Pioneer Mail and Weekly News and the Lahore-based Civil & Military Gazette), but which were not authored by the Kiplings themselves. These “non-Kipling” clippings pertain especially to the lives and experiences of Indian people under British rule. In some cases, the materials chosen for inclusion do in fact have a direct connection to the fiction and verse authored by the Kiplings and will be tagged as such. In other cases, the clippings selected for inclusion here may have no direct connection to the Kiplings at all – but which are now recognized as historically important events. These clippings refer to nascent political movements (the rise of the Indian National Congress); religious reform movements such as the Brahmo Samaj, the Arya Samaj, and the Singh Sabha movement; ongoing conversations about the status of Indian women, especially vis a vis widowhood and child marriage; historical events such as the Famines of the 1870s; the steady expansion of the railways all around India; and the growth and development of the British educational infrastructure in Punjab. The Kiplings produced an extraordinary range of texts of great value to our documentary understanding of British India, but their writings nevertheless reflect a limited understanding of the world they inhabited. Their archive can be supplemented with documents giving evidence about the lives of Indians whom the Kiplings did not know. By foregrounding those supplementary texts in this archive, this archive aims to demonstrate and perform its own limit – to recognize the Kiplings, but also go beyond them. Why the Kiplings? Why All Four Publishing Kiplings? Edward Said, who has in many ways been the driving intellectual force behind what is now called postcolonial literary studies, admired Kipling even as he criticized him, both in the short chapter in Culture and Imperialism (1993) and in the longer preface to Penguin’s edition of Kim he authored (year). As Said put it in that preface to Kim, “Only Joseph Conrad … can be considered along with Kipling … to have rendered the experience of empire with such force.” I agree with Said: insofar as we are interested in the evolution of British colonialism in the late Victorian period, we are interested in Kipling. In his early years as a writer in India, Rudyard benefited considerably from his experiences collaborating with his sister, Alice Kipling, known to the family as Trix. Alice Kipling wrote stories and verse of her own, which the Kiplings published together in collaborative books like Echoes (1884) and Quartette (published by the Civil & Military Gazette Press in Lahore in 1885 under Rudyard’s supervision). Rudyard and Alice also collaborated in publishing a series of unsigned short stories called “Plain Tales from the Hills”; most of these would later be republished by Rudyard in a solo collection (1888), but scholars have noted several “Plain Tales” not included in Rudyard’s collection that were likely authored by Alice. Alice Kipling had a brief period of success as a novelist in her own right, publishing her first novel, The Heart of a Maid, in 1891, on the same Indian Railway Library series that published her brother’s Solders Three stories just a few years earlier. Alice's second novel, A Pinchbeck Goddess, was published in 1897. 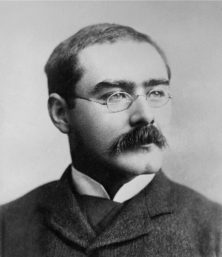 In 1898, her husband Jack Fleming took her to England, and asked that the Kipling family help care for her as she began to suffer from serious mental illness (which Charles Allen describes as likely bipolar disorder). Alice Kipling began to write again, but did not publish further works of prose after around 1902; some of her unpublished works are included in Lorna Lee’s Trix: Kipling’s Forgotten Sister (2003). Though Rudyard’s mother, Alice MacDonald Kipling, is not a major point of focus for this archive project, she was in fact a rather accomplished poet. Her contributions in Quartette are remarkable. She and Trix published a collaborative book of verse poems in 1902 called Hand in Hand: Verses by a Mother and Daughter. A digital version of this book is available from HathiTrust. As many scholars and biographers have mentioned, influence between father and son is notable and strong – and one goal of this archive is to show just how indebted Rudyard is to Lockwood Kipling’s ideas and influence. But Trix also shared Rudyard's sensibility and their history of collaboration clearly played a part in Rudyard’s later success. Her voice and presence also seems to figure strongly in many of her brother’s early works of fiction (one also thinks of the character Maisie in The Light that Failed). Drawing from feminist biographical work that has aimed to recover Trix Kipling’s literary contributions, this archive will aim to bring forward works of Trix Kipling that are available and cross-reference them against the works of Rudyard and Lockwood Kipling. An Archive about the Kiplings, but not only the Kiplings. As suggested above, the larger aim of “The Kiplings and India” is to produce a different kind of digital archive -- one that doesn't put politics and ideology on the back-burner, but instead brings the issues of coverage and Canonicity to the forefront. Can an archive also be a resource that gives users the ability to critique its subject? Can an archive announce and embrace its own limits, not as a source of weakness, but as evidence of alternative (counter-canonical) narratives? These alternative narratives are inevitably less well-documented than are the lives and publications of established authors, but they are also important. As one looks at the archives of the Civil & Military Gazette, one finds extensive reference to important and powerful British figures, including the various Viceroys (Lords Ripon and Dufferin figure most strongly during Rudyard’s time in India) as well as important figures in the administration of the British Raj. 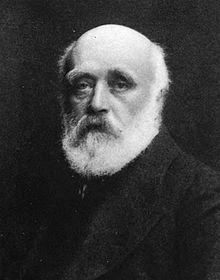 A key figure in the 1880s, for example, was Charles Aitchison – a Civil Service member who rose to become Lieutenant Governor of the Punjab. In 1886, he founded Aitchison College in Lahore. He also presided over the Public Service Commission in 1887, which was responsible for reforming and modernizing the structure the entire Indian Civil Service. In 1886 and 1887 the newspaper devoted many, many inches of column space to the proceedings of Lord Aitchison’s Commission. One of the goals of this archive is to attend to the names and stories of the Indians that appear in the pages of the CMG – to try and connect the dots between the very limited accounts of their lives and perspectives given in a highly government-centered newspaper to transformations we now know were occurring in Indian society at the time.